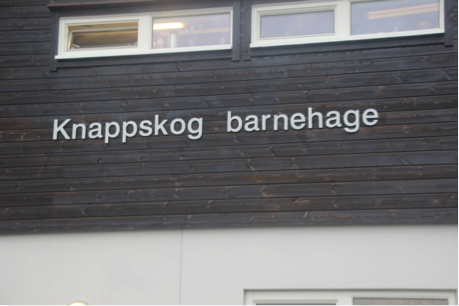 While visiting Norway for the European IY Networking Meeting, Bjorn Brunborg (IY parent mentor) and Marianne Gjerstad (IY Dina teacher and peer coach) took me on a field trip to Fjell to see two Kindergarten Schools. 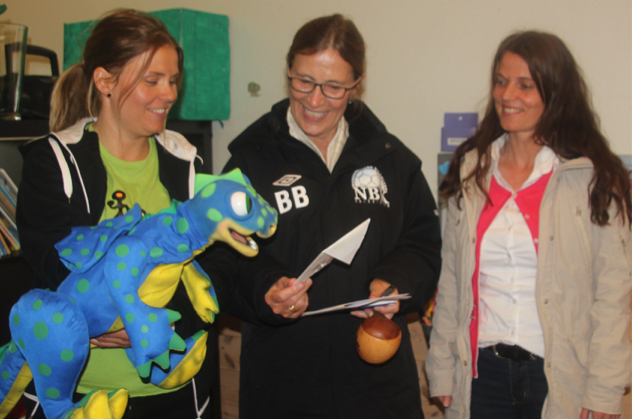 In Norway, kindergarten Schools are available for children ages 1 to 5 years. This beautiful school opened 7 years ago and is nestled in the side of a mountain. It has an outdoor play area surrounded by rocky hillsides which the children are allowed to explore. The glass fence around the play area has pictures drawn on it by children as well as the Incredible Years logo! 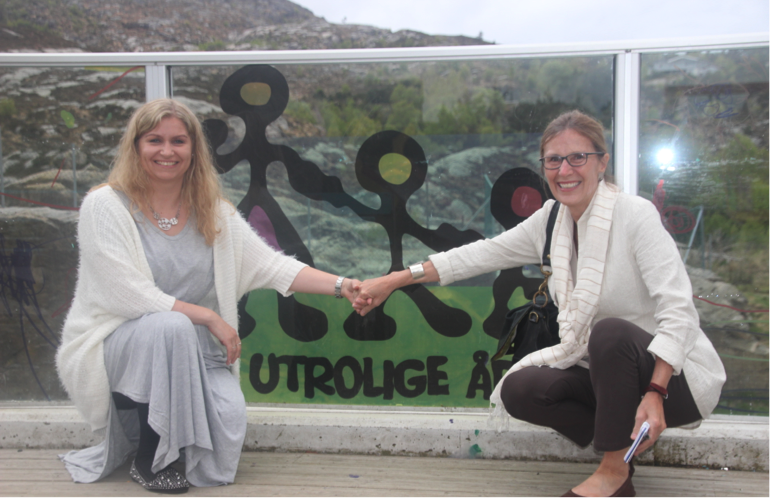 This logo originally was drawn by my daughter when she was 4 years old so it is exciting to see her art alongside some Norwegian children’s art. Looking out at the rocky mountain I can almost image trolls waiting to play with the children. At this school there are 57 children and 28 of these are toddlers (ages 1 to 3 years). In the toddler classrooms there are 2 preschool teachers and 2 assistants for 14 children. The children start school as young as one year of age beginning in August and they stay there from 8:30 am to 4:30 pm. The principal Anette Kaland had taken the IY Teacher Classroom Management Program many years earlier when her daughter attended this school. The school has a wonderful warm and calming atmosphere and I think that I would like to work here with these children, teachers and trolls. The next school is located on a farm and is what I imagine Old McDonald’s farm to look like with a large, red barn, many animals and children playing happily. 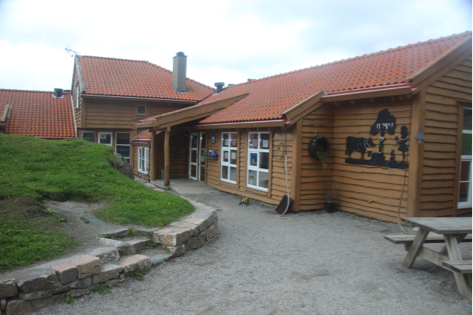 It is surrounded by a beautiful hillside and forests where the children can also explore. Even though the day is cold (freezing temperatures) the children are outside, dressed in their snow suits and playing happily. I see that Willy Problem Solver (managed by teacher Sonja Pedersen) is also dressed in heavy clothes and a warm hat and is playing with the other children. Willy and a group of 5-year-old girls grab me by the hand to take me on a guided tour. 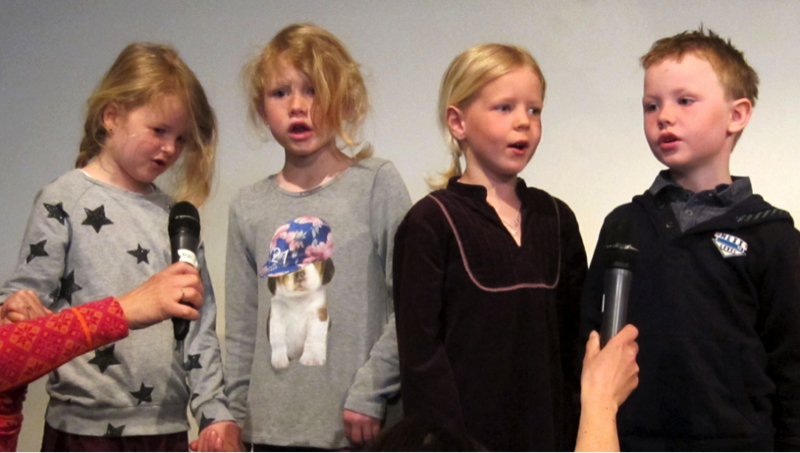 I discover that Willy and Molly (managed by teacher Heidi Valen) are constant companions of the school’s children, modeling and encouraging problem solving, communication and emotional regulation. This school has 4 age-groups of children – 10 toddlers (1-3 years of age), 15 children (mixed ages 1-4 years), 12 preschoolers (4-5 years) and 19 early school age children (4-6 years). I end the tour at the Town Hall and meet a group of accredited IY teacher peer coaches for the IY parent, teacher and child programs. I am greeted by Steinar Nesse who is the Chief Executive and has energetically supported the roll out of these training programs for at least 13 kindergartens. They train 3 new kindergarten schools each year and will start another 3 in August. 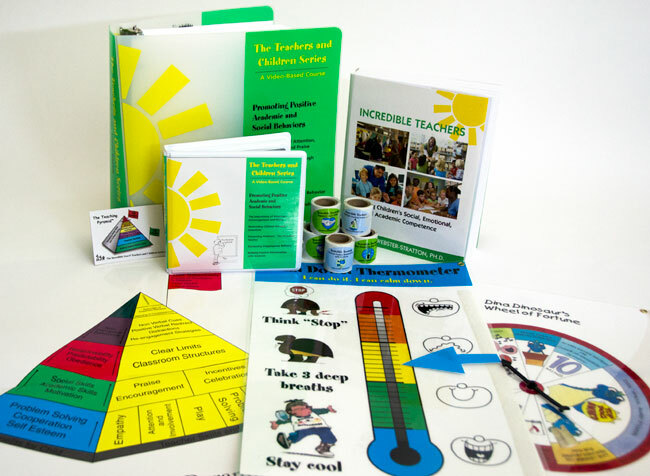 Over 400 kindergarten teachers have been trained in IY teacher and child programs. The peer coaches provide intensive support in the first year of IY training and start the first 2 months delivering the Dina program together with them. Gradually they decrease their time in the classroom letting the teachers deliver the Dina lessons more independently. 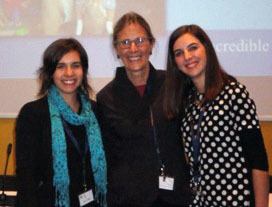 In the 2nd year they meet with the teachers twice a semester to provide support. 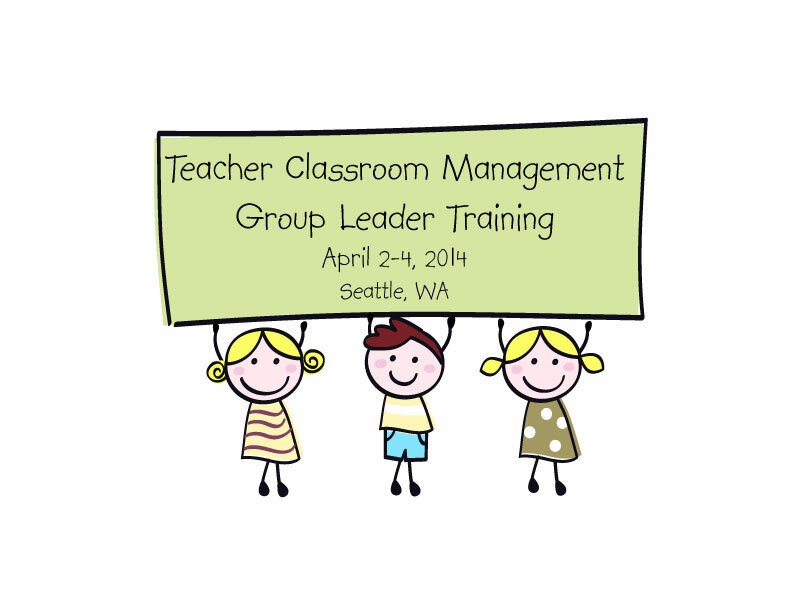 In this community, all the teachers first receive the 6 monthly IY classroom management training workshops. 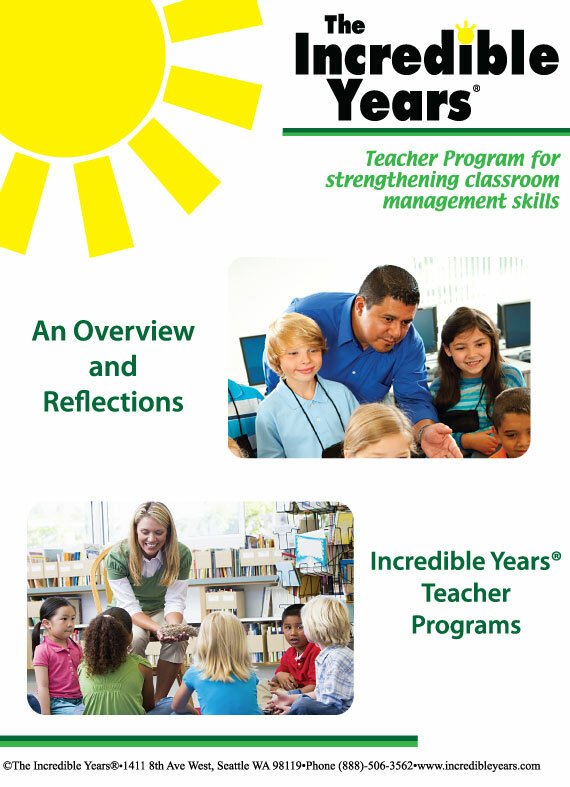 Peer coaching is provided throughout the year and teachers have booster workshops once a year where they share stories of their experiences and how they have incorporated IY concepts in their daily work. The community and their teachers have made a real and genuine commitment to helping enhance children’s social and emotional development. How lucky these children are! 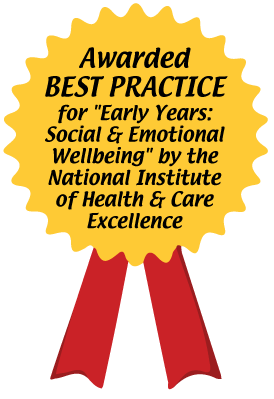 Categories: Incredible Years, Programs | Tags: Carolyn Webster Stratton, child programs, Children, Classroom Management, early childhood education | Permalink. 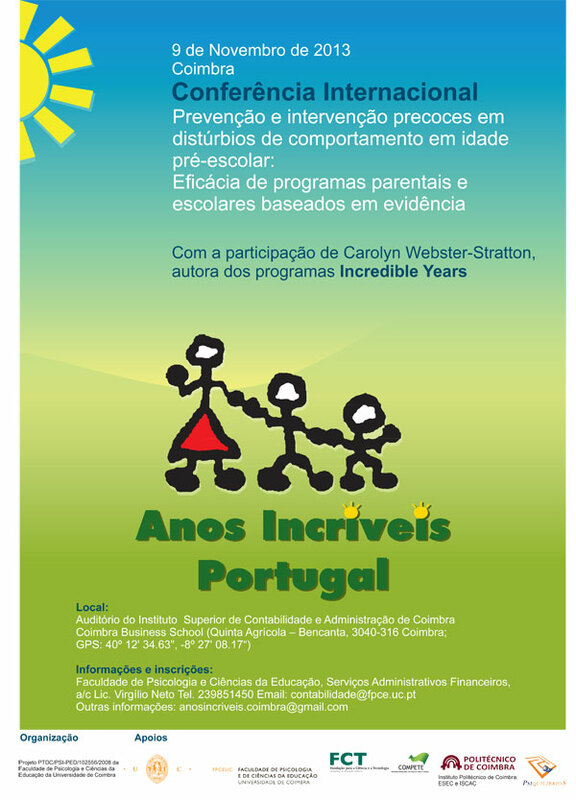 Carolyn Webster-Stratton recently attended and presented at a conference, held at the University of Coimbra in Portugal, “Prevention and early intervention for behavioral disorders in preschool children: the effectiveness of parenting programs and school-based evidence.” Portuguese researchers at the University shared their findings delivering the Incredible Years Parent and Teacher Programs. 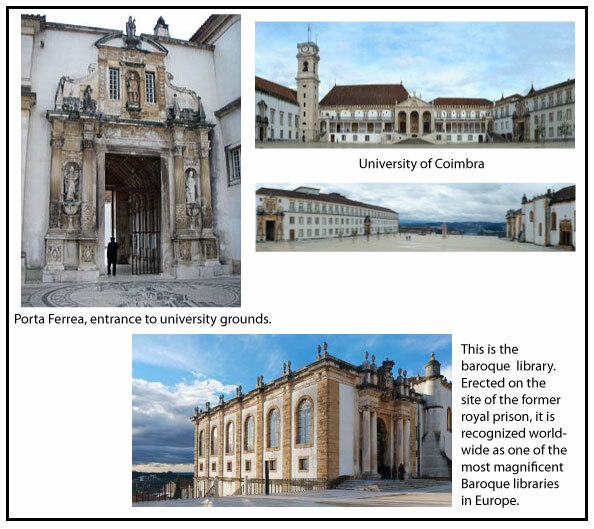 The University of Coimbra is a public university, established in 1290. It is one of the oldest universities in continuous operation in the world and currently has around 20,000 students and hosts many international students. While there, Dr. Webster-Stratton felt she had been transported to Hogwarts, especially when she viewed the students’ robes and the gorgeous location. Prior to being a University, this building was the Royal Palace (for four centuries!). The first of all the royal residences in Portugal, the Palace was inhabited by monarchs between the 12th and 15th centuries. In 2013, UNESCO added the university as a World Heritage site based on its architectural and artistic heritage. 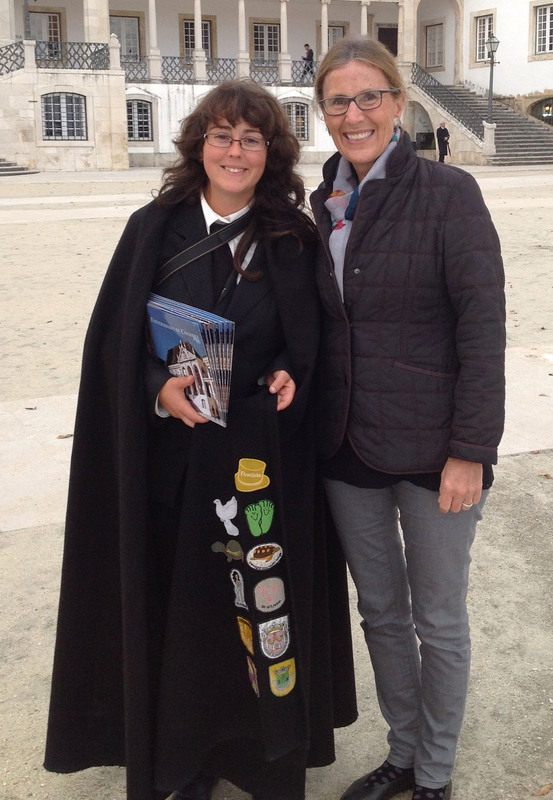 While at the conference, Dr. Webster-Stratton had a chance to find out what was happening in the Psychology and Education departments at the University. 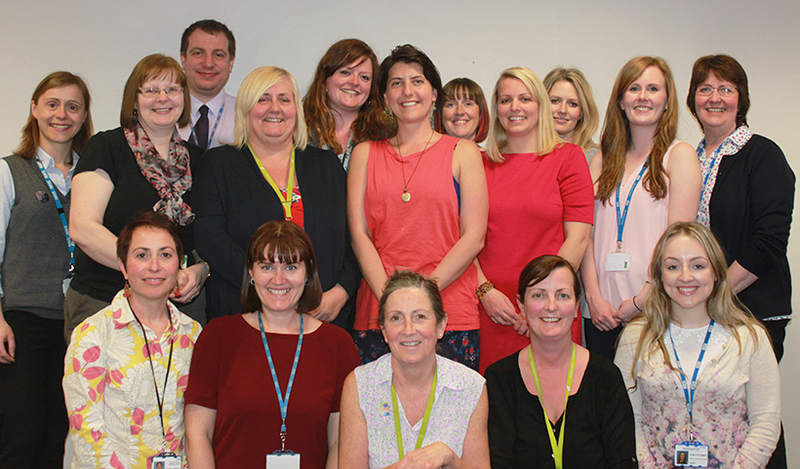 She met a dynamic team of people who are delivering the Incredible Years programs with different populations. She was impressed with their commitment to quality delivery of the programs as prevention programs as well as treatment programs for children with ADHD and conduct problems, and with their dedication to evaluating their results. 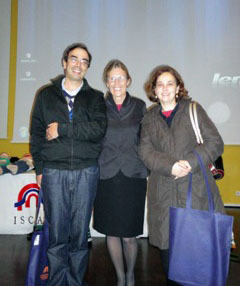 TV local news interviews Carolyn and the two Portuguese researchers who brought the program to Portugal. 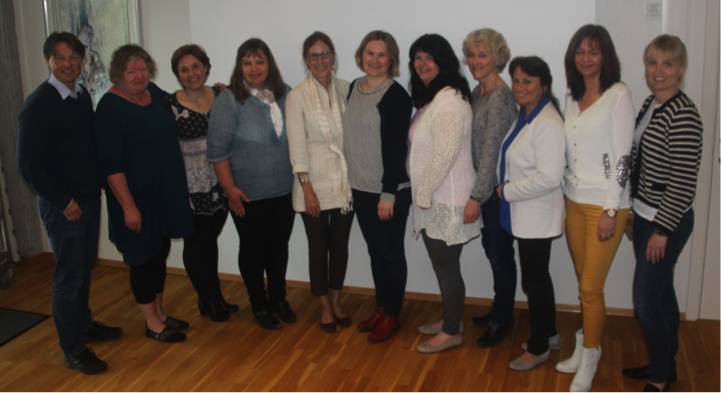 Consultation Day: Carolyn began her visit with a group leader consultation day that was co-led with Maria Filomena and Maria João, two psychology professors completing their Incredible Years mentor training. There were 11 participants attending who showed 6 different DVDs of their parent group work. 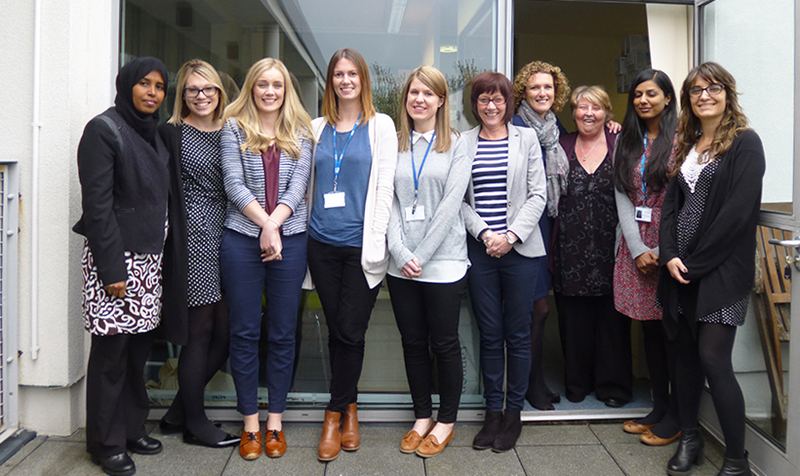 These clinicians had previously delivered any where from 2 to 7, 14-week groups. The day began with three psychiatrists presenting 2 DVDs of their work delivering the parent program in the psychiatry department at the Realidade Hospital in Porto. 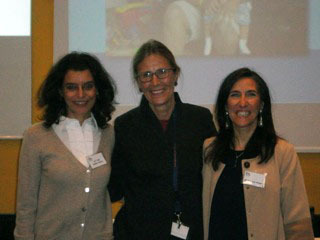 The next two psychologists presented their delivery of the IY parenting program with residential care workers. The remaining psychologists showed their group session DVDs with parents of children with ADHD and ODD. It was a packed agenda with participants having carefully determined their goals and segments of video they wanted to show for feedback. The group was very open to feedback and readily engaged in practices and shared ideas for helping support parents’ learning and confidence in their parenting approaches. Conference Day: This was a truly amazing and packed day that started at 10 am and went overtime until 7:30 pm with most people staying until the conclusion. There were approximately 180+ participants with 50 of these being parents who had participated in IY parent groups. 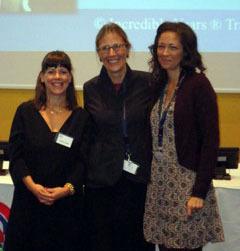 Additionally there were at least as many teachers participating as well as psychologists. There was a great deal of excitement as people greeted each other. In addition to Carolyn’s two presentations there were 8 other presentations of research that has been conducted with the Incredible Years parent and the teacher programs. All outcomes are looking very promising with improvements in parenting and teacher practices as well as reductions in children’s behavior problems. Drop outs are low and satisfaction reports very positive. 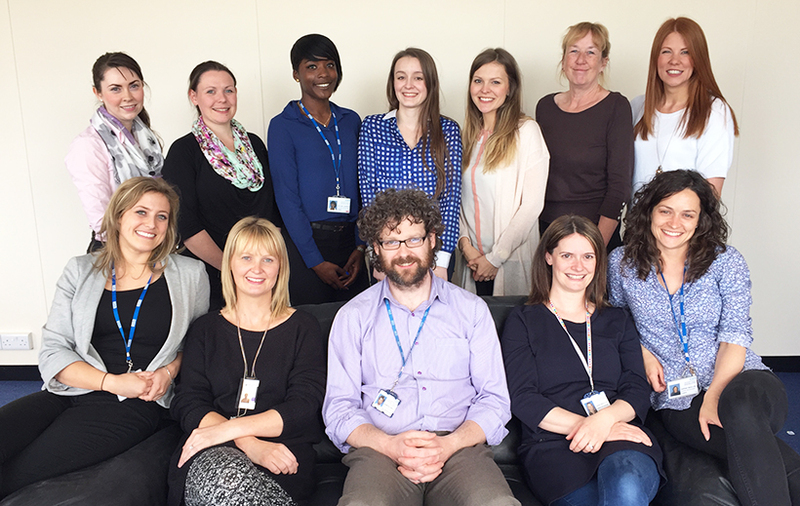 Research with the families of children with ADHD has recently been accepted for publication. It certainly appears that this very energetic and collaborative team have successfully transported the Incredible Years Programs to Portugal. 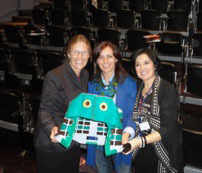 They have accomplished a great deal and even Wally Problem Solver and Dina Dinosaur have learned to speak Portuguese! ~Guest post written by Carolyn Webster-Stratton, Ph.D. 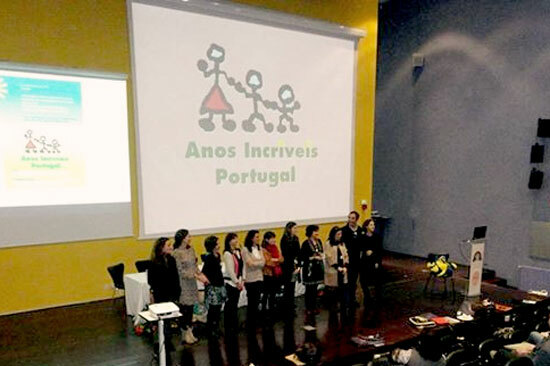 Categories: News, Programs, Research | Tags: early childhood education, Evidence based, Incredible Years, parent programs, Portugal, research, teacher programs, Teachers | Permalink.